When you first create an account on Bloom, you&apos;re provided a unique Bloom Url (eg. smithphoto.bloom.io) that allows your Bloom website and portal to be accessible. 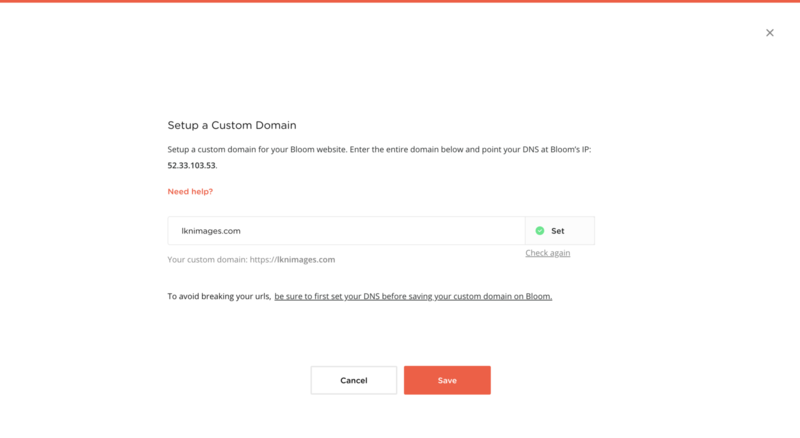 If you have a personal domain and would like to use it for your Bloom website and portal, there are two steps to set this up. Important: DNS changes can sometimes take up to 72 hours to take effect, but are typically much faster. To get started, log in to your Bloom account by clicking the button below.